In 1989 internet was not available to the public, this started to take off in 1995 after Al Gore - the vice president of United States - spoke about the importance of the electronic highway. During the 1980s BBSses ruled the online landscape (BBS = Bulletin Board System). CompuServe and AOL (America Online) have been the most famous commercial bbs'ses in the USA. Mainframe was the brand name of the first commercial bbs in The Netherlands, setup by close friends Mark Wiersma and Winfryd Andringa after having bought their first 1200 bps (bytes per second) modem. In 1991 the company name was changed to Pimpernel Data Communicatie BV, a limited liability company in which Mark and Winfryd had an equal share of 50%. With doubling the speed of modems every year, the popularity of online services grew with it. 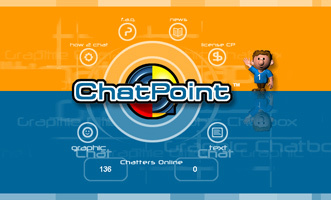 During the period of 1989 - 1995 many online services have been developed and published. Funny enough these are not really different from what is currently popular on the internet. Within a year almost all bbs users moved from the bbs'ses to internet, so we had to move with them. Nobody knew where we were heading for, what internet would become, but one thing was sure, it would change our lives. All services related to internet were considered to take on in the first years after the decision to focus on internet. Pimpernel became a small internet service provider for business users and mainly developed websites for business users. 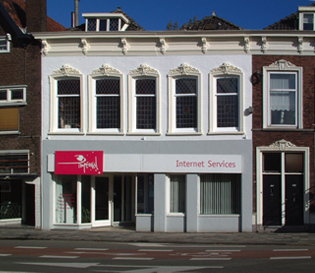 In 1996 Winfryd decided to leave the company and started offering network services to small companies in Amsterdam. 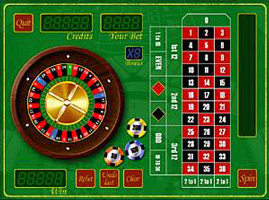 Mark continued alone with Pimpernel, which name was changed to Pimpernel Online Entertainment, when the company started to develop online games using Java. 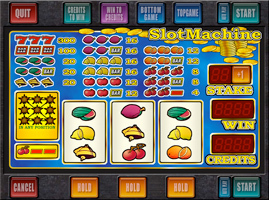 Developing Java games proved to be a successful move and Pimpernel became a factory of developing a wide range of games and applications, all using the new language Java. 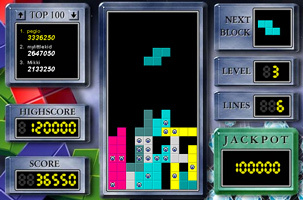 The first game was a Tetris clone and after that about 50 games and applications were developed till 2002. The company grew from a few employees to around 20 and the main focus was developing and publishing online games and chat applications. These products were licensed to many countries around the world. There was a strong believe that websites needed some sort of entertainment in order to be attractive. The years 1998 - 2001 were booming. But it changed rapidly and the burst of the internet bubble in 2002 affected Pimpernel severely. Suddenly games were not interesting at all. Websites struggled with making money with it, online advertising was still not profitable and there was a tendency to go back to printed media. Pimpernel had to downsize drastically and all employees were laid off except the owner and founder Mark. The idea to create a website for people interested in home exchange came up in 2004. After being affected by the burst of the internet bubble in 2001/2002 Mark and his partner Ans Lammers traveled the world for a few years. This was possible thanks to the fact that all work related to the remaining activities of Pimpernel was outsourced. The alternative method of traveling using home exchange was used many times. Mark was not satisfied with the quality of the websites which he had joined in order to find partners to exchange with. One day his wife Ans said: "Stop nagging on the sideline, make your own home exchange website if you think you can do it better!" And so the seed was planted. A development factory was found in India to develop the website and in 2005 www.HomeForExchange.com was launched. In order to quickly establish a decent 'minimum critical mass' of members, HomeForExchange offered the first year free without any obligation. This worked very well and within 1 year the site grew to 10,000+ active members. The celebration of the 10,000th member was held in Australia where Mark and Ans were on a 3 month home exchange. After having run HomeForExchange.com for 10 years it was time to move on and focus on new projects, Hovos.com and Admini.com. The London-based LoveHomeSwap.com founded by entrepreneur Debby Waskow had knocked on our door a few times and finally, on December 9, 2015, we came to an agreement. With the improved cash flow, we could secure the future of our new projects for the next few years. The idea of creating a simple online accounting solution for freelancers and small companies had been on Mark's mind for many years. Pimpernel had hired the services of several accountants since the foundation of the company in 1989, but never with much pleasure. In Mark's opinion bookkeepers and accountants over complicate the financials in order to make themselves indispensable. Freelancers reluctantly hand over their shoebox with bills and invoices to accountants, oftentimes feeling that they are losing control over their own financials but since they don't understand the accounting process they have little choice. Mark hopes to change that with the simplicity of Admini.com. First of all an explanation of the word 'HOVOS'. It stands a bit for 'HOsts' and 'VOlunteerS', but if the domain extension .com would not have been available we would not have chosen this name. Besides this, it a short and catchy name. A typical volunteer is a traveler who wants to exchange their help in order to reduce the cost of accommodation and food during their travels. They might also want to learn about new cultures, new languages, make new friends or new skills. A typical host is someone who needs help with a project, which can be anything you can think of. The idea to create a marketplace for hosts and volunteers came up when Mark and his wife Ans bought an old coal mine complex on Mallorca in 2012 (see www.LaMinaSanCayetano.com). There is always so much work to do - like weeding and pruning - and it's simply not possible to hire professionals for this as it's too expensive. The idea to offer one of the guest houses to people who were willing to help for a few hours a day came out of this. We signed up to a few websites, but Mark was not really impressed with their quality, so he created his own. The sale of HomeForExchange.com in December 2015 was coincidentally good timing as it increased the funding for Hovos.